So much has already changed since I found out in October that I am pregnant with my first little bean. Somehow keeping up with this blog isn’t as important to me anymore as I think about growing a little being inside me. And I have been struggling with the pressure to maintain this blog and all my efforts over the past 4 years since becoming pregnant. I have been thinking about this for months and fighting through my own pressure to keep up with the online world of outdoor bloggers. Over the Christmas break I visited one of my most favourite places, Petroglyphs Provincial Park. This place has always been special to me. I usually only visit during winter when there’s so much stillness and quiet that I can hear myself think and look for answers to many of life’s happenings. I needed to go to this place to let go of the built-up anger I had been holding onto since October. I was angry and frustrated about the injustices of being a student in the post-secondary school system after the 5-week strike that college teachers had been on. I’ve always been a person to speak-up, so after my many attempts to try to make things right and fair, and not getting anywhere, my anger built. I knew it wasn’t healthy for my baby, so I went to breathe out all of the trouble inside me and breathe back in the purity of nature from one of the most purest places I know. Since letting go of the anger inside of me, I’ve also been able to let go of my own expectations regarding this blog. I started this blog in 2014 because I love to write, I was growing a passion for photography, and I wanted to document the building of confidence in myself as I ventured and explored more of the backcountry and my capabilities as an outdoors person. 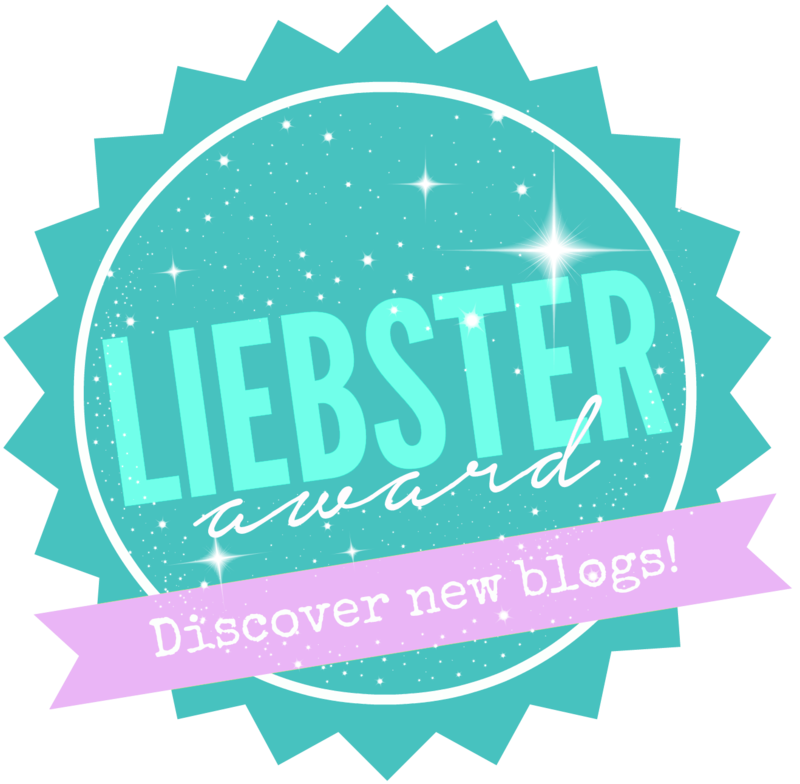 So many cool things have happened for me since starting this blog, like winning a couple of awards! So my efforts haven’t been for nothing. If anything, it has gotten me to where I am now, pursuing and building a career as a photographer in the outdoors! 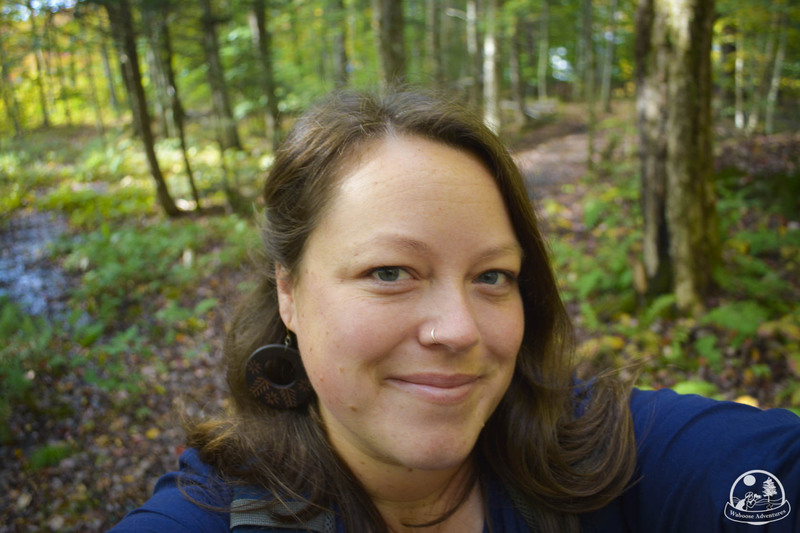 Through my reflection over the Christmas break and since becoming pregnant, I have realized that I am not experiencing the outdoors in an organic, wholesome way, like I first did when I started this journey. No longer am I in the moment and being present in a space and time out in nature, but I’m always thinking about how to put a story together for my blog, and concerned with what photographs to take. This has taken away from the fulfilment I experienced before I decided to write and photograph my adventures. Experiencing nature has become such an important and fulfilling aspect of my life and it doesn’t feel wholesome anymore when I’m going out there with a mission to blog about my adventures. Even when I’m paddling, I’m thinking about what pictures I can make instead of being in the moment and experiencing the rhythm of just paddling the canoe with my husband. My mind is always elsewhere. I try to take moments here and there to be present, but most of the time I’m preoccupied. It’s like I’m working out there with the need to document. How would my adventures be different if I just kept my work at home? I’ve also been having discussions with my mentors about when to stop doing things for free and when to start making money. I went back to school to become a professional photographer because I want to be paid for the work I do as it relates to the outdoors. I can’t make money if I’m giving it all away for free. I had my dream job in the summer as a photographer for Parks Canada – and I was paid to do it! That’s what I’m after. A photo shoot I did for Parks Canada. I have always been completely inspired by Kate Ming-Sun from KMS Outdoors who also gave me advice. She spent the first part of her career working in finance and then decided she needed a career change. Look at what she is doing now! She’s inspiring and she inspired me to go back to school to make a career out of my passion for the outdoors and photography. In a week I’m starting my final semester of a 2-year program. I can’t believe it! It will be the first time I have finished any education programs. I tried college, a music institute, university and now college again. I’m 3 months from finishing! I need to spend my time completing this final semester of the program and whatever free time I have, it will be preparing for an addition to our family and starting my own photography business (Cobi Photography) so that I can start to make money doing something that I am passionate about. I need to direct my time somewhere that I can get a return on my efforts. A photography project I did for school. I’m so excited to show my babe a world of outdoor adventure. I want to be present for the whole journey and not have my mind elsewhere thinking about how I can blog about it. I know I will definitely be contributing some of my adventures here, but I’m going to do it for myself with no expectations. I want to find a way to make money doing it as well. I’m giving myself permission to be me and do whatever makes me happy. There are so many more important things in life to me right now than likes and follows on social media and having to post a blog regularly. That will be important when I really start to drive my photography business, but for now I want to focus my efforts on allowing myself to give everything I have to my final semester and begin the process of earning a living with photography. I have to continue to follow my passion and reconnect with nature in a wholesome way again. Thank you for coming along for the ride. I know I will post here in the future, but for now I need to focus elsewhere to make other things happen for myself. I will be more present through Cobi Photography and that is where I will be sharing most of my photography, projects, adventures and updates to help grow my business. I already have an Instagram account and Facebook page along with my new website. 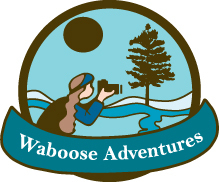 I’ve even kept the same logo because my photography business will be an expansion of what I have accomplished here, on Waboose Adventures. I sincerely thank you for your support and hope that you would consider showing your support for Cobi Photography by following my blog and/or keeping in touch through my Instagram or Facebook page. Congratulations Cobi for embarking on new journeys that will fulfill you in more ways than you can imagine. As a new mother, you will see the beauty of the world anew through the eyes of your child. As a professional photographer, you will share this beauty with us in a world that is hungry for truly meaningful images. It’s been a pleasure reading your eloquent blogs and admiring your beautiful photographs, and I wish you great happiness and success in your life, so full of promises, as a new mother and exquisite photographer. Best wishes and good luck! Cobi, as your Father and being the proudest of a daughter a man can be, I sense the challenge you are facing to make sure your priorities are where they need to be, for you and your family. In life, there are always going to be changes and decisions and difficulties, bur that’s what makes us who we are. You meet them and set your expectations to achieve your desired outcome. Some are tougher than others, but that’s what life is all about, right? It’s all about old doors closing and then new ones opening up for us to pass through, and then deal with things as we want AND need to. Your photography and blogging has shown many people a side of you that is public and wonderful. Now as your family grows, you realize that things need to change so that you can provide for and help your family situation, while keeping you passion for what you love alive so that too can be shared. We all love your blogs and pictures, and that is evident by the awards you are accumulating. In agreement, it is time for you to reap the rewards of all this hard work and effort, and there is certainly nothing wrong with that. I am sure you will continue to drive forward and experience and share all that is beautiful in this wonderful world we live in. That’s what makes YOU a wonderful person in itself. I, for one, will certainly stand by you all the way and support any direction you follow, as I’m sure many others will too. Keep up the fantastic work and we will all be right here waiting to share in all your future endeavors and adventures…. YOU ROCK!!! Thanks, Dad! I completely agree. Starting this blog led me to discovering a passion for photography. I knew I always wanted to go back to school but couldn’t decide for what. This journey has encouraged me to pursue a career in photography! Wishing you much success in your next phase in life. You have to live your life focusing on the things that are the most important to you. Your interests, personal growth and family. I’ve enjoyed the blog and pictures. Since I’ve been out of the US for the last 14 years your photos remind me of the vast areas of nature I used to enjoy there. Good luck!